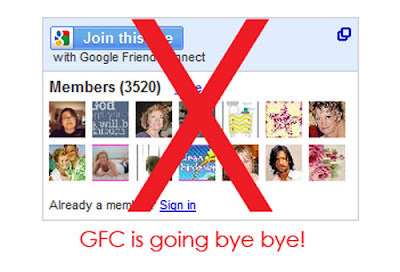 I appreciate that Google is trying to make it's platform cross-functional, but I am not sure that I like it now that Google Friend Connect (GFC) has gone away for all non-Blogger blogs. It all has a very Big Brother feeling to it. Maybe it's just me because I don't link this blog to my day to day life. I don't want people who google my name to find this blog for several reasons. The most important one is that I am looking for a full-time job in a field that has nothing to do with fashion. The second and maybe just as important reason is that this blog is mine. This is where I share something that I love, but also this is my safe place to learn about what looks good and even what doesn't look good on me and my not made-for-the-runway body. I choose what and when I share with the blogosphere and I know that if I associate it with my "real life" I won't have as much control because anyone will be able to google my life. Is it so bad that I want this for myself for as long as I can have it? So now that GFC is a thing of the past, how do does the non-professional blogger measure followership? Do we aggregate Bloglovin followers, plus Twitter followers, plus FB likes, plus Instagram followers, plus Pinterest and divide by number of platforms to correct for those followers like me that don't want to miss a thing and stalk follow our favorites across all platforms? Do we rely on the unique visit number and where the heck can we find that other than for the current week or month? It seems like so much work for a hobby! Google suggests creating a +1 page, but then won't that be like having a Facebook page? I tried to set up a Facebook page for my blog a few months back and was horrified that FB was suggesting my page to people I knew in real life! How? I use a unique email address for this blog and any and all accounts associated with it. 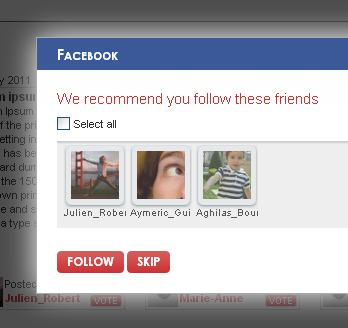 How does Facebook link my unique email address that I've never used to contact my second cousin who I rarely interact on FB with and send a recommendation to check out my page and be friends? Big Brother much? I immediately deleted deactivated that page because you can't actually delete it. So I decided to keep FB for people that I am actually friends with and this blog and all accounts associated with this blog separate. I think Google is headed down the Facebook path and it makes me sad because there is something to be said about being careful with what you share. Can you imagine if someone who was thinking about hiring me looked up my name and found the post to this fail of an outfit? So for now, I will encourage my readers to follow my blog on bloglovin and I will just continue to take it one day at a time. I am very happy with the last SIX months and very proud of how much I've learned and grown in such a short while. Thank you from the bottom of my heart for bearing with me as I try to figure out where I want this blog to go. 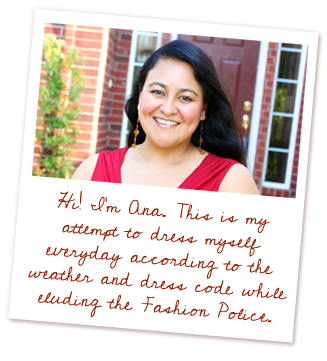 How do you feel about blogs that remain anonymous and those that overshare? Is there a happy medium?